My inner control freak was beheaded last night. 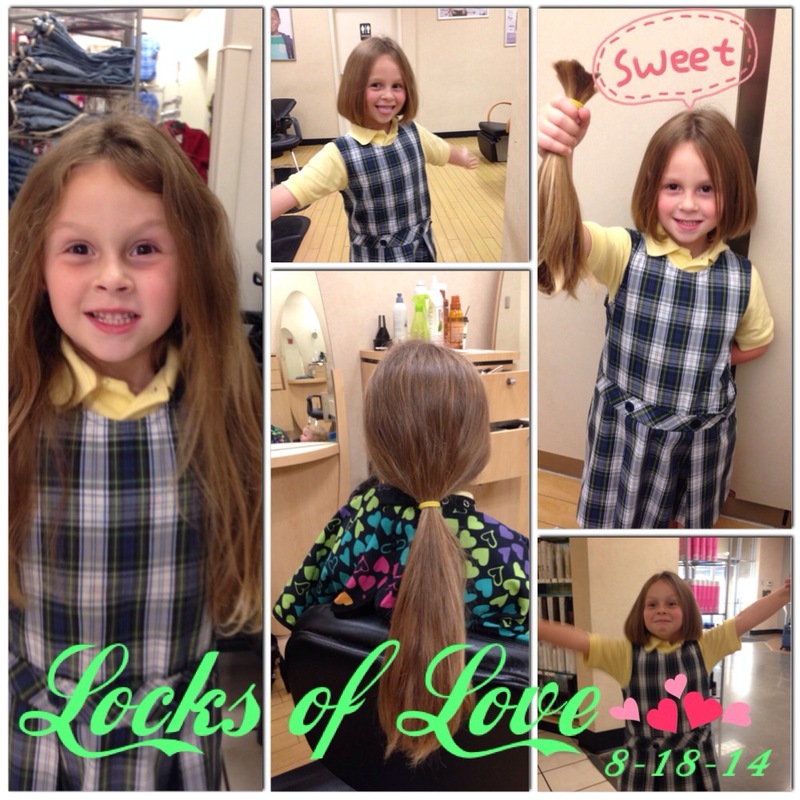 All because of a completely generous and selfless act of kindness from our 6-year-old. Thank you, Jesus, for these moments… We so desperately need them. Kendyl needed a haircut. It has grown like wildfire over the last year and it needed some weight cut off. Florida is hotttttt and us curly headed girls have some thick hair. It didn’t take long for the talk about getting a trim to switch gears. 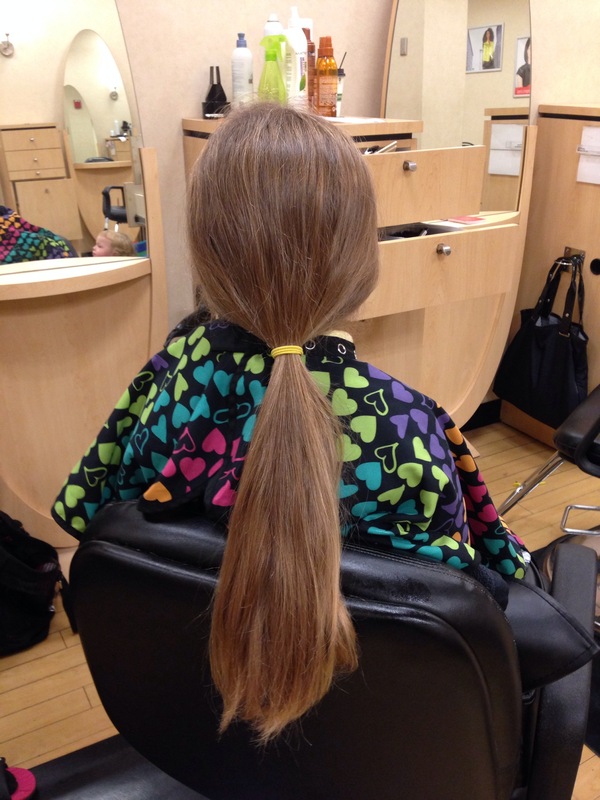 She remembered our friend Kaitlyn getting an adorable bobbed haircut a few months ago and she had a lot of questions about why she donated her hair. She didn’t think twice. 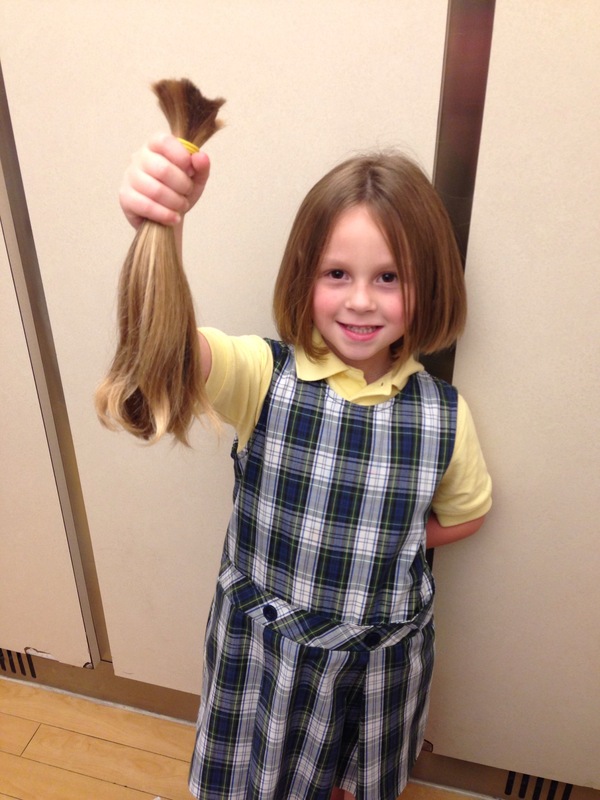 When she heard the need, she immediately wanted to donate her hair. She didn’t need a 5 point outline or detailed game plan. There was a need to be met and she was ready to make it happen. For months she has been growing her hair out. This picture was taken right before we walked into the salon. 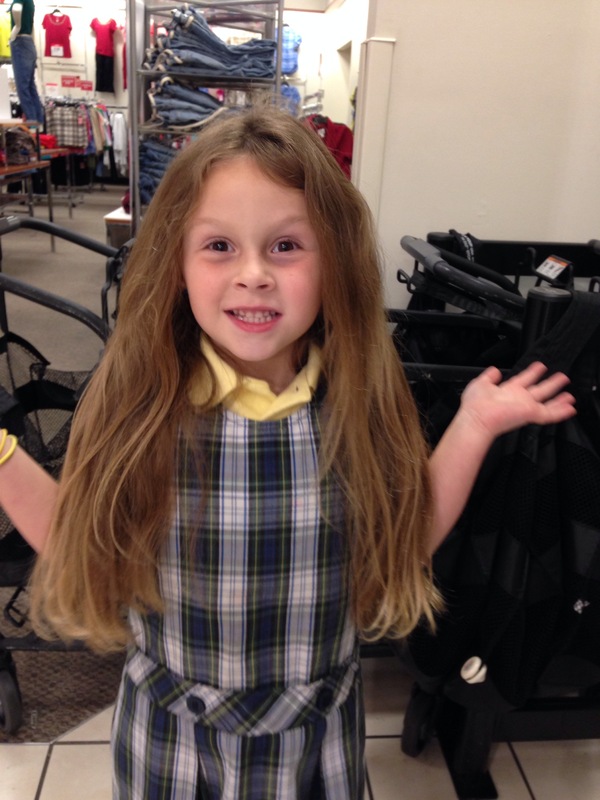 I had already straightened her hair at home and measured it. 10 inches. 25.4 centimeters of beautiful, blonde flowing locks of love. And she was ready to part with it in a New York minute. I even chimed in. “Baby, I’m so proud of you for wanting to do this. I want you to know this your hair and your decision.” And God placed His hand over my mouth. She didn’t need to hear anyone else’s opinion. She felt led to do this. A little girl with a big heart spoke volumes without even opening her mouth. 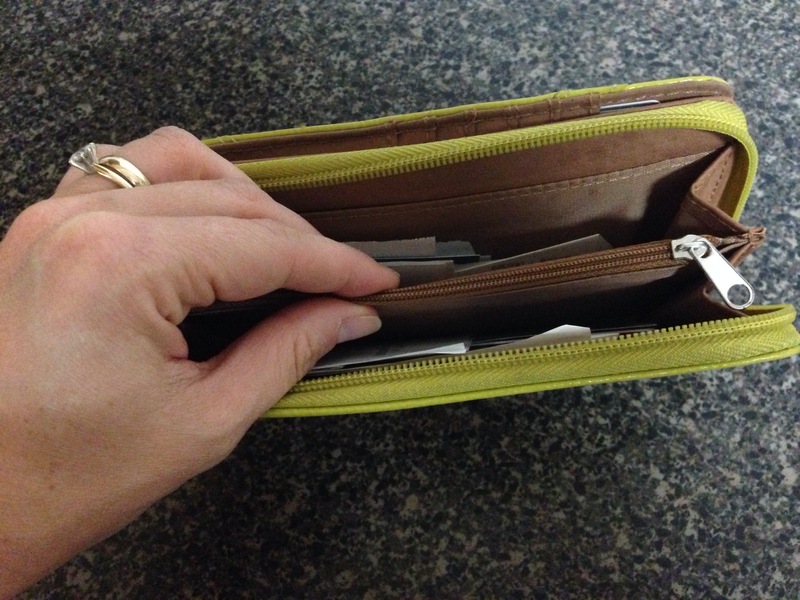 How many times do we hear of a need and have to consult our wallet first? Or have someone come to us in desperation and we sigh about it being an inconvenience? Please don’t miss this. Open up your hands..
God has really been dealing tenderly with my heart on this concept lately. We can’t miss those in our paths because we’re so focused on the destination. If we come face to face with a hurting soul yet we neglect to give them something we already possess, oh baby we’ve missed the mark. It may not be financial. It may not even be a physical touch. It may be simply looking them in the eyes and giving them your full attention for that moment in time. God began moving me to give to this ministry that has so richly blessed me. When I fumbled though my bright yellow wallet, I started counting what I had and immediately I felt God whisper, “Stop counting and give all you have.” I honestly have no idea how much I gave but my heart was overjoyed with knowing I had been obedient to God’s voice. Sometimes the initial release of what’s in our hands is difficult. But there is nothing like the joy of immediate obedience to an Almighty Savior who wants to do great things through us. We have to come to the realization that what we have isn’t ours – it’s His. And He can do so much more with it than we can. I want to leave you with this verse to chew on tonight. Prepared in advance. That tells me He’s got some pretty awesome things just waiting for you, babe. Just open up your hands..
I’d love to hear from you! Has God asked you to do something you struggled with at first? Has there been a time of immediate obedience that has helped grow you in your walk with Christ? Comment below! Posted on August 20, 2014, in Time Well Spent and tagged babies, blessings, immediate, obedience, trust. Bookmark the permalink. Leave a comment.